THE HUNTER AND OTHER STORIES is a unique literary publication from one of the greatest writers of the 20th century, Dashiell Hammett. This volume includes both new Hammett stories gleaned from his personal archives along with screen treatments long buried in film-industry files. The best of Dashiell Hammett's unfamiliar treasures have been rescued from deep in these archives: screen stories, unpublished and rarely published fiction, and intriguing unfinished narratives. Hammett is regarded as both a pioneer and master of hard-boiled detective fiction, but these dozen and half stories that explore failed romance, courage in the face of conflict, hypocrisy, and crass opportunism, show him in a different light. The collection also includes two full-length screen treatments. "On the Make" is the basis for the rarely seen 1935 film Mr. Dynamite, starring a corrupt detective who never misses an opportunity to take advantage of his clients rather than help them. "The Kiss-Off" is the basis for City Streets (1931), with Sylvia Sydney and Gary Cooper caught in a romance complicated by racketeering's obligations and temptations. Like the screen stories fromRETURN OF THE THIN MAN, they read as novellas-rich in both story and character. Publication of these new volumes is due to the passion of Julie M. Rivett, Hammett's granddaughter and a well-regarded Hammett scholar, as well as Richard Layman, the author of the first full-length biography of Hammett, Shadow Man, the definitive bibliography, and other works. 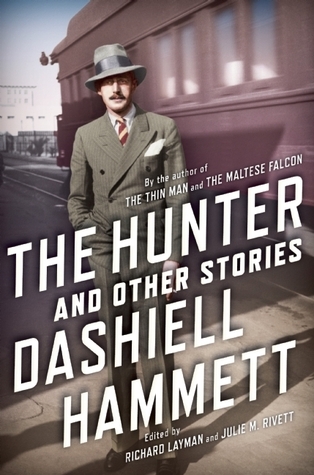 Rivett and Layman are trustees for Hammett's literary estate and have co-edited two previous Hammett volumes-Selected Letters of Dashiell Hammett and Dashiell Hammett: A Daughter Remembers. THE HUNTER AND OTHER STORIES will appeal to longtime Hammett fans, and introduce a new generation to one of the most influential voices in American fiction.